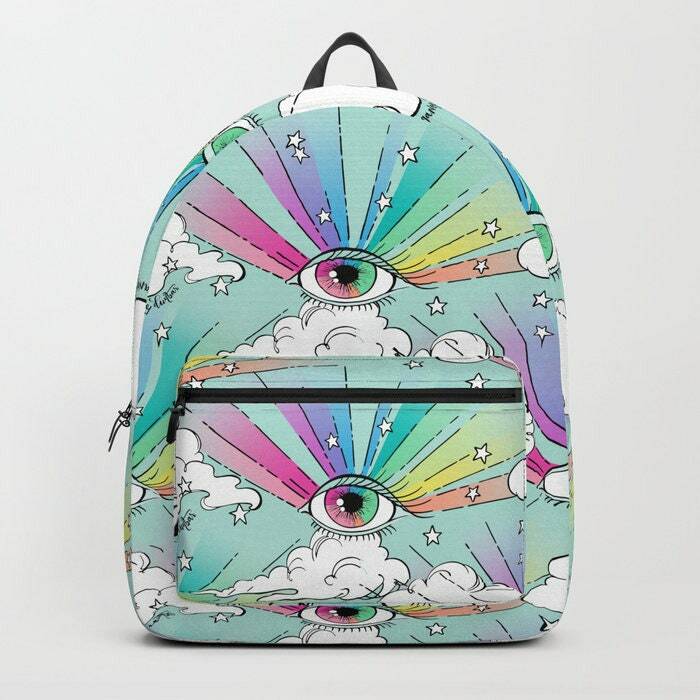 Esoteric and dreamy, my ray-bow eyes are a fun pop of print for spring and summer! I love bold color and mixing prints! My patterns are inspired by my travels, reading and a love of art, LOTS of art. I hope you enjoy and come back again! 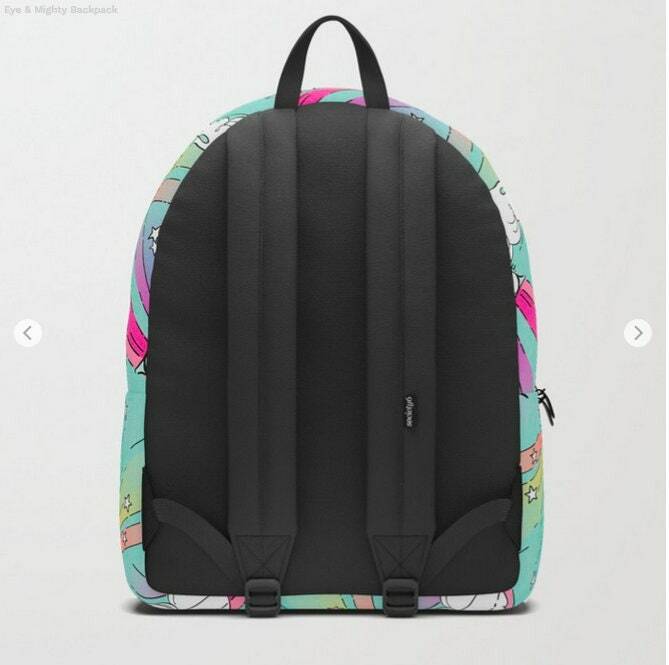 My Backpack is crafted with spun poly fabric for durability and high print quality. Thoughtful details include double zipper enclosures, padded nylon back and bottom, interior laptop pocket (fits up to 15"), adjustable shoulder straps and front pocket for accessories. Dry clean or spot clean only. One unisex size: 17.75"(H) x 12.25"(W) x 5.75"(D).